One of the big questions many people have about black holes is what happens when something enters one. A recent Cosmos episode not withstanding, there is no reason to suspect that entering a black hole would take you to an alternate universe. If you were to fall into a black hole, you would simply be in the black hole. What happens to you after that depends upon the nature of quantum gravity, which we still don’t fully understand. Of course all of this is according to general relativity. While general relativity has been confirmed by multiple experiments, what evidence do we have of things falling into a black hole? It turns out we have lots of broad evidence, and a bit of specific evidence. The broad evidence comes from the observation of active galactic nuclei (AGN), which includes things like quasars, blazars and radio galaxies. These highly energetic objects are powered by active black holes. Comparison of these objects to black hole models show strong agreement. We know, for example, that black holes can develop an accretion disk of matter being consumed, as well as large jets of particles streaming from their poles. We also have some evidence of black holes consuming individual stars. 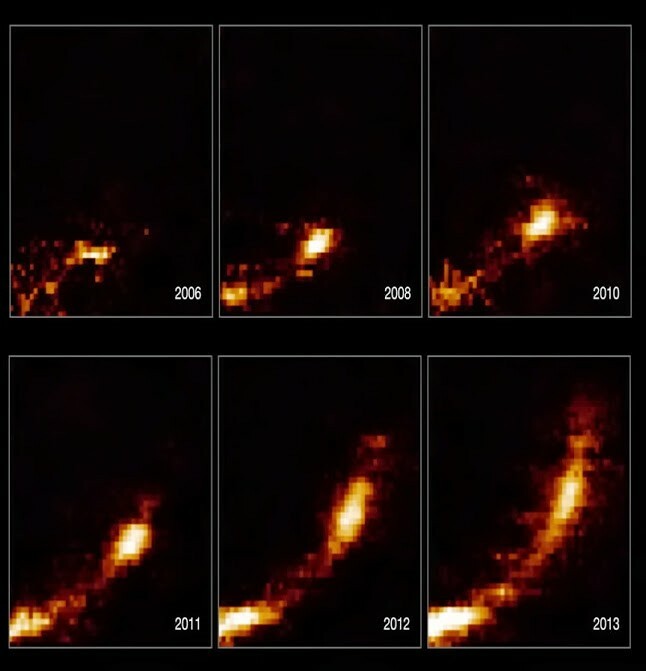 In 2011, the Pan-STARRS telescope observed what initially appeared to be a supernova at the center of a galaxy about 2.7 billion light years away. The spectrum of this burst indicated a large presence of helium, but no evidence of hydrogen. This means it was not likely just some gas captured by the black hole (which would be a mix of helium and hydrogen), but rather due to the core of an old star (which is mostly helium) being captured. Closer to home, we can observe a cloud of gas near the supermassive black hole in our own galaxy as it is gradually being torn apart. In this case the cloud isn’t directly being consumed by the black hole, but the way in which the cloud is being torn apart has matched computer simulations of such close encounters. So we actually have a good understanding of what happens to things as they fall into a black hole. There are still questions yet to be answered, but our black hole models are rooted in observational evidence.